Board of Secondary Education(BSE) Odisha released a notification for Odisha Secondary School Teacher Eligibility Test (OSSTET) 2018 examination. 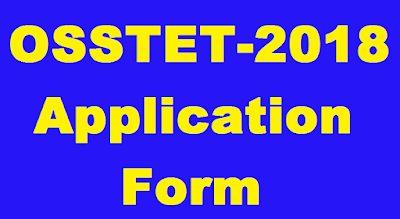 The OSSTET 2018 application form, OSSTET 2018 eligibility, OSSTET 2018 new registration, OSSTET 2018 Application fee details are given below in this post. Odisha Secondary School Teacher Eligibility Test (OSSTET) 2018 Application Form - A notification released regarding the online application process for OSSTET-2018 Examination at bseodisha.nic.in. Candidates can apply online application form for OSSTET 2018 from 10 September 2018 on the official website. If you want to be a teacher in schools of the Odisha, you must have to appear examination for the Odisha Secondary School Teacher Eligibility Test (OSSTET) 2018. The Board of Secondary Education(BSE), Odisha conduct the examination for OSSTET-2018. The online OSSTET-2018 application form will be available from 10 September and it ends on 17 September 2018 on new official website www.osstet.in and the application fee also can be pay by 17 September 2018 online or offline. The new website http://www.osstet.in/ will be work from 10th September 2018 and candidates can apply for OSSTET- 2018 application form by this website. BSE Odisha released a notification bearing no. 779/ OSSTET/DT-07/09/2018 regarding exam of OSSTET-2018 and some important guidelines as per mentioned below. 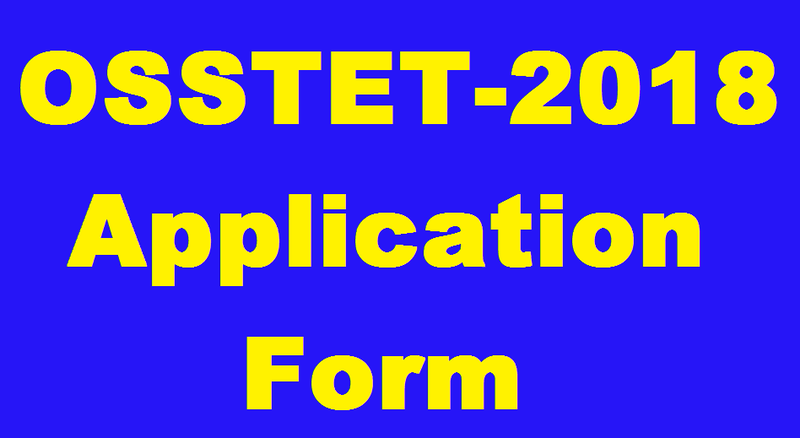 The OSSTET-2018 application should be accepted through online mode. The candidates can apply online by the new website of OSSTET-2018 is “www. osstet.in”. Candidates can apply online application from 10 September 2018 from the above-mentioned website. The last date for applying online application form OSSTET-2018 17 September 2018. The candidates can pay Fee payment for this examination through SBI Collect in online or offline mode by 17 September 2018. The candidates can get the details information about application fee, examination date, admit card date will be available later at the official website. Candidates can read the notification regarding OSSTET-2018 from below link. The candidate has to register first then fill the application form. There are below mentioned some steps to follow to apply OSSTET 2018 online application form and OSSTET 2018 New Registration. Then click on " Submit Button"
By this Registration number and password, you can log in to fill OSSTET 2018 application form. After successful registration, you can log in for fill application form by entering your User Id or Login Id and password which you are created. If you enter your user id and password a new window will be open and here you can fill all details like your name, fathers name, qualification, date of birth etc., carefully. After filling details carefully click on submit button. Next candidate has to pay the prescribed fee through online or offline. After completing the fee payment a confirmation page is will be displayed. Take a print out of this confirmation page for future references. The application fee for OSSTET 2018, candidates can pay the fee by online mode or offline mode. The candidates who have successfully completed the registration process, fill the application form and pay the application fee, then now please wait for the OSSTET 2018 exam date announce. The exam date yet not declared by the conducting authority. Admit card for OSSTET 2018 will issue after the application process, the date of admit card issue can be declared by the conducting authority on official website and you can get details later in this post. The result will be declared after the finishing the OSSTET 2018 examination. I hope you like this post very much. Please keep in touch with this page for more updates about OSSTET- 2018 application form. RRB will release their admit card on 09/09/2018 as it has just been notified by the railway recruitment board and the RRB Exam City of the candidates will be in their admit cards, Kindly check for your respective admit card and exam city.